Concert will feature violinist Keiko Tokunaga, bassist Carolyn Davis Fryer, cellist Elisabeth Anderson and pianist Stephen Pane. 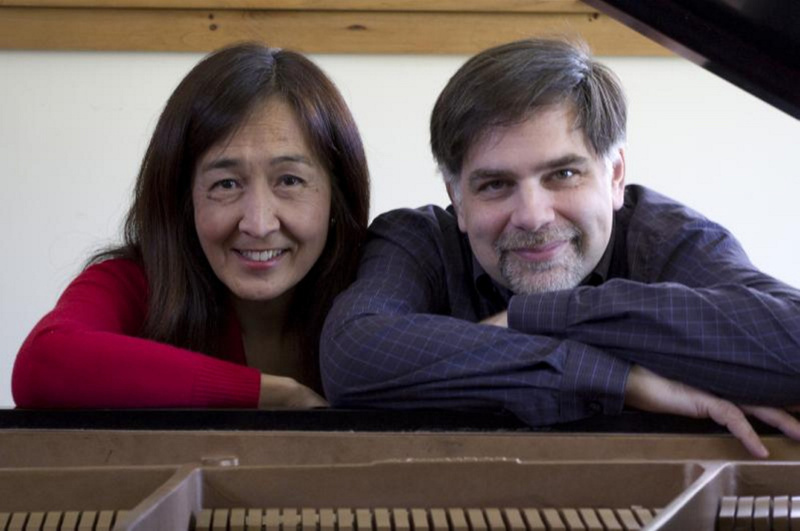 FARMINGTON — A Maine Mountain Chamber Music concert is set for 7:30 p.m. Saturday, Oct. 7, at Nordica Auditorium at the University of Maine at Farmington. The concert will feature violinist Keiko Tokunaga, bassist Carolyn Davis Fryer, cellist Elisabeth Anderson and pianist Stephen Pane, joined by Maine Mountain Chamber Music co-directors Laurie Kennedy, viola, and Yuri Funahashi, piano. The program celebrates the music of Franz Schubert and features the incomparable “Trout” Quintet. Also on the program is November 19, 1828, John Harbison’s touching tribute to Schubert, and three marches for piano four-hands by Schubert. The concert is sponsored by the Arts Institute of Western Maine, an affiliate of the University of Maine at Farmington. Admission will cost $15 for adults or is free for 18 and younger and for students with ID.